Our Flat HDMI Cables with Ethernet supports the latest HDMI Specification with the convenience of easier installations. 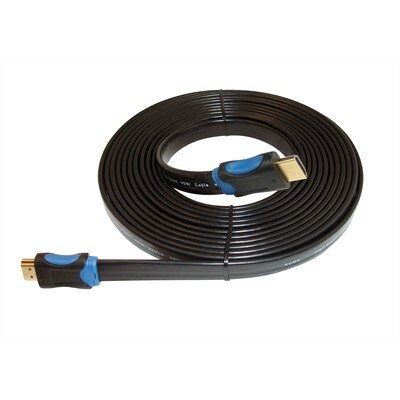 The flat cable design and low profile HDMI connectors on the ends make them ideal for installing in tight spaces. They are easier to bend than round cables and runs perfectly along the walls or behind baseboards.